Download Dashboard UI Elements Free PSD. 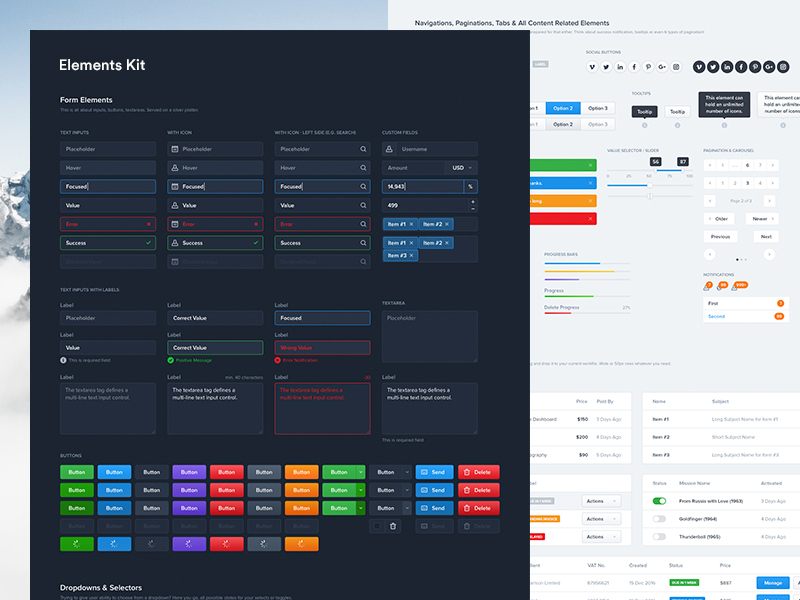 Here you can download a free huge UI kit full of ready made elements such as: inputs, buttons, selects, drop downs, notifications, tables and much more. This Dashboard UI Elements PSD freebie with in dark and light variation which you can use according to your project needs. All elements are responsive, ready and can be customized in matter of minutes. Hope you like this Dashboard UI Elements Free PSD. Enjoy!